You have made a wise move in signing up. I have just sent you an email giving you details about where to access my free acting videos, articles and reports. Plus I have sent you my free report on ‘A beginners’ guide on how to become a professional actor from scratch’. You need to read this if you are anyway serious about becoming an actor. Over the coming weeks I will send you more vital acting reports by email to help you develop your acting talent and career. To make sure you get the reports it would be a good idea to “whitelist” the email address [email protected] just so the emails don’t vanish into your spam filter. An easy way to do this is simply reply to the first email you get from me — many ISPs and ESPs take that as being a sign the email address you’re writing to is a legitimate one to be sending you emails. 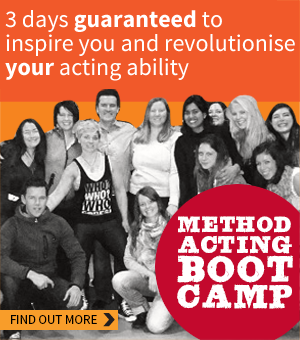 I look forward to helping you develop your acting and acting career.